I was struck by a phrase someone used in a discussion back in the summer – ‘big-hearted schools who welcome SEND students and see their Ofsted rating drop’. I’d like to unpack that a bit. I believe, and Ofsted’s inspections of special educational needs and disabilities (SEND) provision in schools are built around this idea, that the experience of pupils who have SEN and/or disabilities is a bellwether of the school’s performance. Children who have SEN and/or disabilities are part of the big picture that makes up a school; there is no division here. Academic excellence, and effective SEND provision, are all part of the same picture and a school cannot be truly outstanding if it’s letting some of its pupils down. We’ve been told that some schools are refusing pupils who have SEN and/or disabilities because they are concerned that this will be reflected in their Ofsted rating. as part of collecting information about what is important to the child, now and in the future, and how best to support them. Inclusion means making the school a strong part of the local area’s provision for children and young people who have SEN and/or disabilities. Mainly, it means identifying, assessing and meeting their needs well and making sure they are achieving their potential. At the heart of this is removing the barriers that get in the way of children who have SEN and/or disabilities being fully included in all areas of school life. During inspection, our teams look at how pupils who have SEN and/or disabilities are progressing; not compared with all pupils in the school, but with pupils nationally who have similar starting points to them. Inspectors look at the support individual pupils are given and consider whether it is helping them to achieve better outcomes. We know that some pupils, for example those who have profound and multiple learning difficulties, are working at significantly lower levels. For them, inspectors consider their starting points and the progress they’ve made. Inspectors will look at how well the curriculum has been adapted to their needs and the gains they have made in their learning and development. We purposefully take starting points into account and understand that some pupils will make progress in very small steps. Academic achievements are very important, but schools are about more than just that. 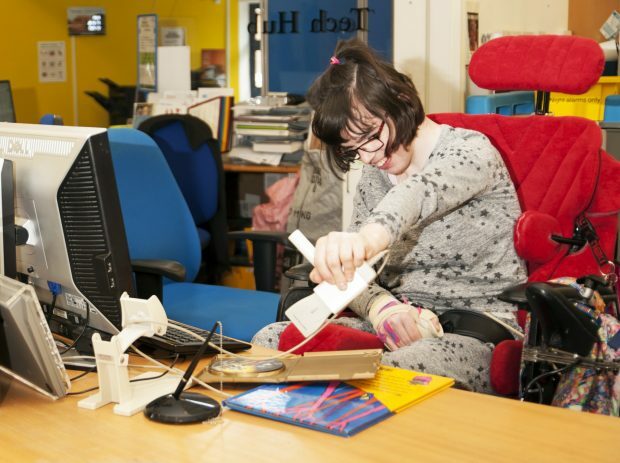 For pupils who have SEN and/or disabilities it is vitally important that they are well prepared for the next stage of their lives. It’s also about learning to manage relationships with people, learning to make decisions and become independent and finding out what makes you tick. How schools prepare pupils to do this is vital. Parents often contact us with complaints about how their child who has SEN and/or disabilities has been treated at school. They feel they’ve been let down, sometimes for a long time. I urge schools to think about the processes that are in place for helping families. Individual knowledge of each child is essential, but any system must be fair and open. Parents must speak to the Special Educational Needs Coordinator and then follow the school’s complaints process, but it’s important these processes are transparent and easy to follow. In the coming months, we’ll be publishing the consultation into our education inspection framework. One of the strands of this is about children who have SEN and/or disabilities and I urge you to respond to it when it’s published. As a profession, we’ve got a duty to make sure that all children have the support they need to make the most of whatever opportunities life may hold. You can keep up-to-date with Ofsted news by signing up for email alerts. You can also follow Ofsted on Twitter. I agree totally with the sentiments expressed above and hope that steps are taken to ensure that all schools improve their inclusion practises. Unfortunately, this area of teaching this has been neglected for far too long and children with SEN and disabilities have not reach their potential. One problem with getting thing improved is the lack of training given to both currently and student teachers. Many teachers lack the knowledge and skills needed to support children in the classroom and schools do not receive sufficient funding to put enough extra provision in place. Also, the LAs do not monitor exactly how SEN are spent, particularly when these budgets are not ring fenced. Totally agree Sue. Initial teacher training and their lack of support for teaching children with SEN has long been a concern of mine. We regularly host student teachers, who on the whole are amazing new practitioners, but have one small section in their training on SEN - and this usually just involves a conversation with me (SENCo) and a tick sheet style assignment! I try and get them into all the classes to observe and work with a range of children with additional needs so they at least have some decent first hand experience on top of the paperwork. They may leave Uni and launch themselves into a class full of complex characters; I just hope they have the support of their mentors and SLT when they come across tricky situations because I doubt their training has prepared them fully! Hi. Our son is at a special school. It has transformed him. Mainstream schools do not have a clue. I hear constant complaints that children are insulted, bullied and ignored by staff who have no training. Extra budgets are spent on normal equipment when they have been assigned to children with extra needs. Academies are the worst offenders and force out problematic children and there is no accountability to the local community any more. A lot of parents I speak to have or are considering home schooling. I tried to find out the number from our council and they do not track these figures. How many children are falling through the net? It's appalling. Please sort it out. Thank you for responding to my blog. I have noted your concerns. I'm glad to hear that your son is doing so well as his new school. You are correct in your view about the negative effect Academies are having in general and more in particular on children with Special Educational Needs. These children, and how they are treated, is a reflection upon the quality of the school. Academies want to project themselves as successful educator but not with SEN children. Yes the may effect overall academic results but the child and its quality of education, its enjoyment of education, its happiness in learning, its positive welcoming friendships are far more important. Maybe all academy leaders should have a compulsory term working 100% of their time with Special Educational Needs children then they may appreciate and understand how valuable and important these children are to school life. Before it is too late, and the educational system is broken completely, let's embrace all children equally . its one thing to ask SEN parents to follow complaints procedure- but we are so often cowed and bullied by head teachers and SENCOs, My daughter has a diagnosis and and EHCP and therefore should have lots of legal protection but I was threatened with her school place being taken away and her ending up in a PRU (at 5) if I didn't stop asking for her EHCP to be followed, it is too expensive to look after her properly, we are told. She has a statutory right to a mainstream education and the local authority agree that her plan is a mainstream plan. So how do you complain safely, without poisoning the well- turning the people you have to leave your vulnerable child with against you? There needs to be an outside route to whistle blowing on this despicable behaviour from academy chains- my case is not isolated I know of five other families at the same small school who have been harangued into withdrawing their children to homeschool or simply trying their luck elsewhere. The headteacher is happy- the kids who need more investment and better teaching to succeed are gone but families lives are derailed and children who need consistency, support and bolstering are failed in their local communities. Thank you for responding to my blog. Your local area should have an independent advice and support service, sometimes called SENDIASS, which provides a range of support for families of children and young people who have SEND, including statutory mediation and dispute resolution. Information about this service should be available on your local offer website. I have noted your wider concerns. Since the summer of 2016, Ofsted and the Care Quality Commission (CQC) have completed 68 local area SEND inspections. We have learned a lot from parents and carers about what is working and what needs to improve in the area where they live. You can read the reports on our website https://www.gov.uk/government/organisations/ofsted. Thank you for responding to my blog. I have noted your concerns. I would advise you to use the school and local area’s complaints procedure if you remain concerned about the quality of your children’s education. I'm glad to hear that your son is now thriving! This would be wonderful if it actually happens. Let’s face it, it’s a fairytale. When is someone going to actually look at the reality of what’s it like being a parent of a SEND child. I belong to several groups and the local parents forum and meet many despairing parents who’s experience of support would make your hair curl. It’s about time the truth was told. We have learned a lot from parents and carers about what IS working and what needs to improve in the area where they live. You've been 'told' that some schools are refusing pupils with SEN? Welcome to the real world OFSTED - schools have been doing this for years; using OFSTED ratings as a reason is just the latest in a long line of excuses. When I worked as a SEN officer and manager ten plus years ago, we frequently received letters from schools in response to consultations that started with the words 'we are an inclusive school'. As soon as we saw this we knew the school was anything but because what would follow was a long list of flimsy 'reasons' why the school would be unsuitable. Truly inclusive schools didn't bother to reply or just replied with a 'yes' or 'happy to be named' and then got on with it. It disappointing that OFSTED seems to have taken a long time to wake up to this. Thank you for responding to my blog. I have noted your concerns and I agree that truly inclusive schools ‘get on with’ working out how best to support children and young people who have SEN and/or disabilities. Ofsted is committed to being a force for improvement in the lives of all children and young people and their families. We look closely at how well local areas identify, assess and meet the needs of children and young who have SEND in our local area inspections. Along with our colleagues from the Care Quality Commission (CQC), we work hard to seek and learn from experiences of parents and carers in these inspections. We have inspected 68 local areas in the first two years of this programme. The DfE needs to reconsider its approach to High Needs funding as a matter of urgency. The High Needs NFF is not responsive to changing needs - 50% of an LA's 2017/18 expenditure is locked into the formula in CASH terms for 4 years, half of the amount driven by proxy factors is based on population distribution which doesn't match needs (especially higher cost complex needs), and a lot of the data is out of date. An extra 0.5% per head of 2-19 population for those losing from the High Needs NFF is nowhere near enough to cover rising needs and inflation. And instead of allowing all schools to contribute to a shortfall in a way that promotes joint ownership, DfE limits transfers from the Schools Block to 0.5%. This is leading to cuts which naturally fall to schools providing for pupils with SEND, thus increasing the disincentive to be inclusive. Can't anyone sort out this mess? Thanks for your thoughtful comments, Sue. We do see many examples of schools that are making a fantastic difference to children's lives. Teachers should be trained in special education needs so every teacher has this skill. Special education needs money should be ring fenced and parents should be shown clearly where this amount is being used in open proof with independent reference via person. 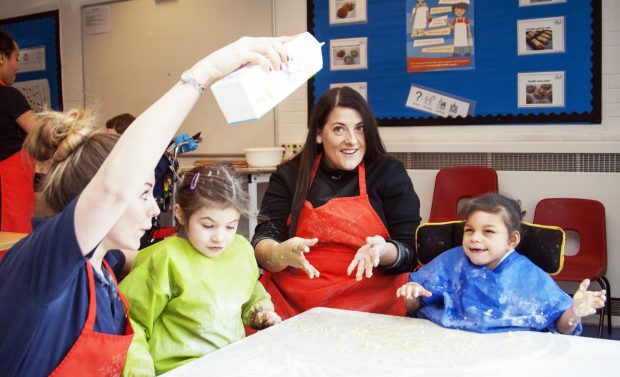 Ofsted inspections should occur without informing school and check each sen child's work. I have been a practitioner in both mainstream and SEN settings and I have seen compelling evidence of the effective 'exclusion' of some pupils with additional needs from mainstream schools. I have also seen other mainstream schools create amazing opportunities for its SEND pupils by adopting innovative ideas and ensuring that the personalised needs of each pupil are at the forefront of their thinking . I wanted to make two points here. Firstly that in my experience some schools do view SEN pupils as a potential weakness in their inspections and that secondly they are extremely mindful of budgetary considerations hampering their attempts to provide person centred environments for their SEND pupils. I know of headteachers who are resigned to the reality that the per pupil funding for SEN pupils will not come close to the actual cost of tailoring the school environment to meet their needs (additional support staff/specialist training and advice/adapted learning environments) This then becomes a disincentive in terms of adopting true inclusion principles. Your message is a very important one as it addresses the key fear I encounter that Ofsted will effectively penalise a school for its lowered data outcomes through SEN. Anything that recalibrates this belief is a step in the right direction for SEND pupils and their families. My other concern remains that the funding for SEND pupils is stifling innovative practice and preventing some pupils from accessing the type of learning they truly deserve. One of the big problems is where behaviour is just seen as behaviour. I am appalled working in alternative provision hoe many children who are excluded have unassessed and so unidentified needs. Autism, ADHD, learning difficulties, trauma, mental health problems. Excluded due to behaviour as if this were the chosen path for the child. We are then providing those assessments and identifying needs but then finding appropriate provision and trying to re-engage a child of 13, 14, 15, 16 who has had a history of struggling, failing (in their eyes) and rejection in school is extremely difficult. Many that we work with find a different path, unfortunately often destructive. This is a problem and it needs addressing. Better assessments, earlier. The best thing you could do is ask to see the class teacher work 1:1 with the child with Sen and demonstrate how they are currently working on iep targets. Not the TA, the teacher. Then you would realise many teachers ignore the child with Sen, leave the untrained TA to teach them / babysit them and don't have a clue what their iep says. Many of my sons teachers were uncomfortable to even be in a room with him as they didn't know how to speak to him or get him to respond unless the TA or I was there to 'translate'. And complaints are pointless because the ethos comes from the Head who will just deny that their teachers would ignore a child in their class. And they fabricate documents to show progress. Most of my sons teachers didn't even have the skills to assess his ability in the first place. We were told he could do things he couldn't, couldn't do things he could, would never learn to read etc all completely wrong. If they didn't get a response first time they just assumed he was incapable of learning and told the TA to teach him separately. I am totally in favour of inclusion, up to a point. Every child has the right to a good education and access to all the curriculum. However, here is the rub, there is never enough funding to properly support some of the more complex problems children present with, and we do have to remember the other children in the class who are also there to be educated. If the child with SEND is constantly chaotic and disruptive, even though all the recommendations from specialists etc. have been followed and implemented, the education of the other children who do not have SEND can suffer. I refer to the damning report, published following Ofstead's inspection of Lancashire's SEND services 13th November 2017. It is obvious, to anyone who has the misfortune of dealing with this department, that all is not well. Even those fortunate to have secured a Statement/ECHP for their child struggle to have it implemented and updated accordingly. Enquires to my LEA are met with complacency and disdain: time scales are not adhered to, emails are left unanswered and ECHP's are copied and pasted from previous primary school statements (from other counties) and sections remain incomplete,-not to mention no longer relevant. I have been appalled by the long winded complaints procedure,which parents have to follow, in order to make very little progress whatsoever. I am saddened to learn that if I decide to take legal action this will take up to 2 years- by then my son will have completed his "inclusive education". I am amazed, given that Ofstead made the same grim discoveries back in 2017, that no action plan was put in place. You would think this would have deserved a revisit at the very least? Normally I would leave my complaints reference, having contacted your organisation twice already, but I know I'll receive the same old apathetic response. Maybe you could direct me to an association that strives to raise standards and improve lives? Once an area has been requested to produce a written statement of action(WSoA), the area has 70 working days in which to submit this plan to Ofsted. Once approved by Ofsted and CQC, the local area usually publishes their WSoA on their websites. As from November 2018, Ofsted and CQC will revisit all areas issued with a WSOA usually within 18months of the WSoA being approved. During that period, advisers from the DfE and NHS England monitor the progress that the local area is making. Hi, Thank you for your comment. Amanda Spielman, Her Majesty’s Chief Inspector, noted in her Annual Report published last week that, ‘The curriculum is the substance of education’ and also that, ‘In recent years that substance has lost out to performance tables and data in the priorities of many in the sector’. She also said that, ‘In addition to the quality of education, the EIF (our education inspection framework for 2019) will allow us to identify and report on those schools that push young people who might achieve less well out of their schools through off-rolling’. I worked in a town with 3 secondary schools. 2 were inclusive and took in a broad cohort of students. The 3rd school actively discouraged parents of difficult or SEND pupils to apply away from their school. We know this to be true as we had parents and teachers attending their open evenings and asked specific questions to the senior staff. The two inclusive schools spent many years being punished by OFSTED and placed in one category or another. The 3rd school was given an outstanding grade and still continues to cream off more of the talented pupils and staff in the area. Your organisation has a long way to go to prove it has changed it’s spots and is not there as a mouthpiece for political dogma. Mr Wilshaw and Mr Gove had a huge impact on the teaching profession for many wrong reasons and I hope you can start to regain the trust of so many hard working teachers. I'm struggling to find the word 'inclusive' or 'inclusion' in either the CIF, the School Inspection Handbook, the Framework for Inspection of LA SEND, or the Handbook for LA Inspection. I can find one entry only, with reference to 'inclusion unit. I see this is rectified to some extent in the documents out for consultation on the new framework. Maybe Ofsted needs to pick up the discussion about 'equalities' when they meet with local authorities, or as part of local area inspections, to which I'm sure the response from this gentleman will be, 'we already do'. Can I suggest that you ask LA's for the numbers of SEN pupils each schools takes across an area and why some schools have significantly higher, or lower numbers? Its common knowledge in the system that many schools do not take SEN pupils, and/or encourage parents to look elsewhere, yet other schools are inclusive and make sure SEN pupils get the best possible deal. Can I suggest Ofsted start to get a proper grip of things? Talk is cheap. By submitting a comment you understand it may be published on this public website. Please read our privacy notice to see how the GOV.UK blogging platform handles your information. This blog will look at the way Ofsted inspects education, from early years to schools and the further education and skills sector. It will update you on developments and feature current issues.